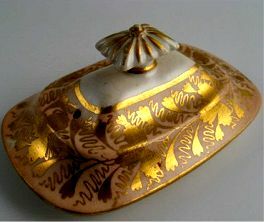 I am not sure of the manufacturer of this teapot lid, but it is from a London shaped rectangular teapot c1820. It is decorated with a pale pink ground for the wide border on which is a rich gilt foliate garland. 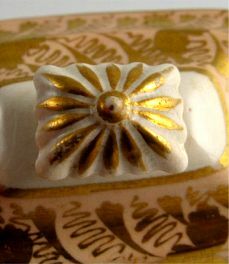 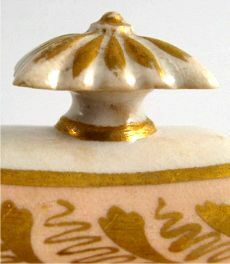 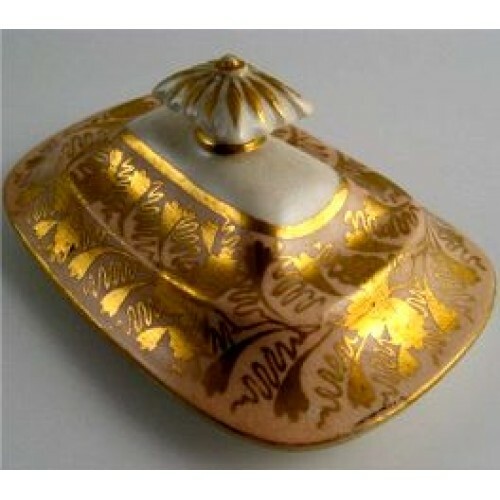 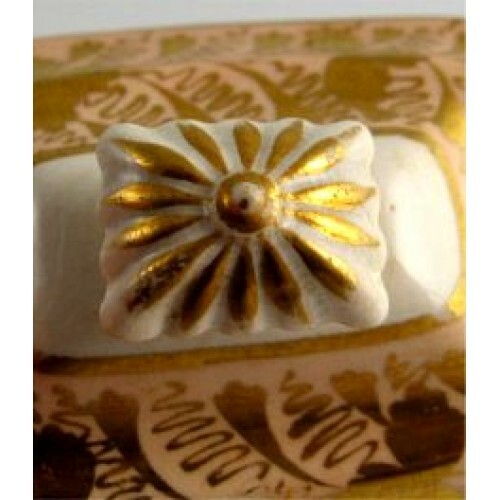 The lid has a rectangular finial which is embellished with gilt decoration. This is a Rectangular Teapot Lid from a London shaped teapot, pink ground colour with applied gilt foliage, c1820. 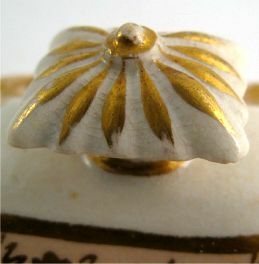 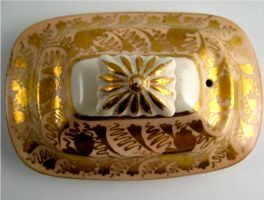 This teapot lid is in good condition with only a few very minor imperfections which comprise a firing crack from the time of manufacture (shown below), a very small chip on the inner rim and minor wear in places to the gilding. 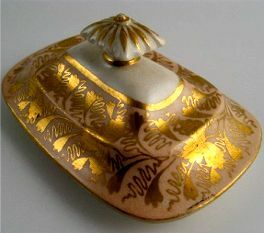 Description I am not sure of the manufacturer of this teapot lid, but it is from a London shaped rectangular teapot c1820. 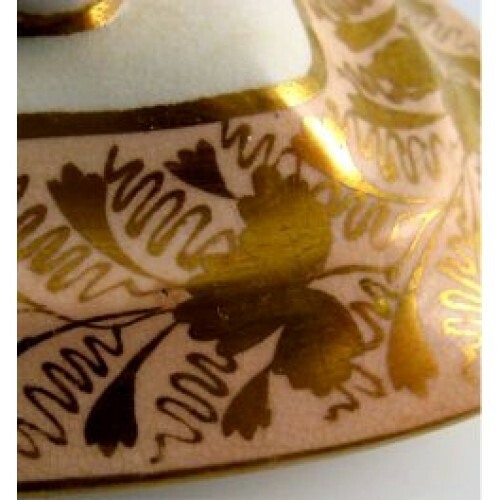 It is decorated with a pale pink ground for the wide border on which is a rich gilt foliate garland. 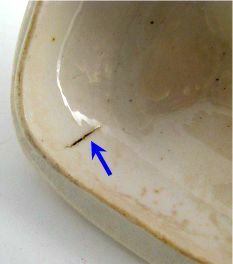 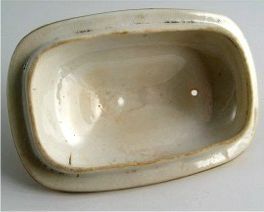 Condition (See main description for full details and pictures) This teapot lid is in good condition with only a few very minor imperfections which comprise a firing crack from the time of manufacture (shown in a picture in main description), a very small chip on the inner rim and minor wear in places to the gilding.